Egress windows are your emergency exit or escape windows required in specific locations in a dwelling space, whether commercial or residential. 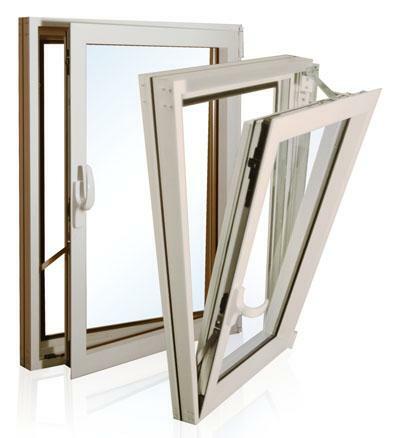 They are mandated in building codes to meet specific size and access requirements to qualify as egress windows. Each sleeping room or bedroom on any floor is required to have one. That includes additional or new rooms designed or designated as sleeping quarters. Basements used as habitable space. Minimum opening height is: 24 in. Minimum width opening is 20 in. Minimum net clear opening is 5.7 sq. ft. (5.0 sq. ft. for ground floor). Net clear opening does not refer to the size of the window panel but to the actual free and clear space that allows a person to get through. In addition, the window must be able to open easily from the inside without keys or tools. Window bars and grilles may be installed over windows but can be swung out without tools or keys to allow the minimum clear opening. Escape or egress windows are sensible fire escape points in any dwelling space but sadly, not all houses have one and over the years, bedrooms have been known to be veritable firetraps. It required the adoption of the IRC in building codes to mandate its inclusion in all modern residential construction projects as well as renovations. The IRC was a product of the International Code Council formed in 1994 and was formally adopted in 2003. Changes to the code were incorporated as late as 2009. The code stipulates not just fire escapes but other aspects of home construction like plumbing, electrical, heating, furnaces, ventilation, and structural design integrity, among others. Many or all of its provisions have been adopted by most US states to make them legally enforceable, and the include fire escapes or egress windows. Egress windows are meant to provide safe exit from the room in case of emergencies, notably fire, when getting out the normal way is blocked or not possible. They are also meant to allow firefighters to get into the room to rescue its occupants. Without one, a room becomes a firetrap. They are critical life-saving architectural and functional features of a dwelling place. If there is even a remote probability that an existing or added room will be used as a bedroom, it must have an egress window. Know your state’s building code as different states may have additional requirements on top of the basic standards related to fire escape or egress windows as basically defined by the IRC as discussed above. Casement window types using hinged sashes that can swing free and clear are ideal and the most common type of egress windows especially in rooms where space is limited. Window replacement for the same size opening as what you now have requires no permits; otherwise, if there are size modifications to the current famed opening, structural change may be in order and your state may require a permit. There are several window replacement suppliers in a state but not all are certified to market egress windows. But there are specialty stores that manufacture standard and above-standard egress windows of various styles for attics, basements and bedrooms. Some of the leading suppliers include Wellcraft Egress Systems of the Tapco Group and has national distribution; Innovative Egress Windows, Inc., for Minnesota, Wisconsin and North Dakota; Egress, Inc.; and the Pennsylvania based Reddco, Inc., marketing the Redi-Exit brand of fire escape systems, just to mention a few. You can check with your property broker, district building code authorities or contractors in your area to get advice on reputable providers of egress windows. What is the average cost of egress windows? See How Much You Can Save On Egress Windows Today! Prices of egress window products differ according to type, color, size, and features. Thus, it is necessary to compare prices of various egress window brands and to put products side by side in order to see the pros and cons. Therefore, the price of the end product you will get is dependent on your careful selection and inspection.